This category lists works related to Christian denominations based on Adventism, which rose to prominence in the mid-19th-century. Not all works are accepted by all denominations. 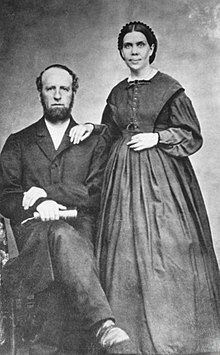 James and Ellen G. White, founders of the Seventh-day Adventist Church.